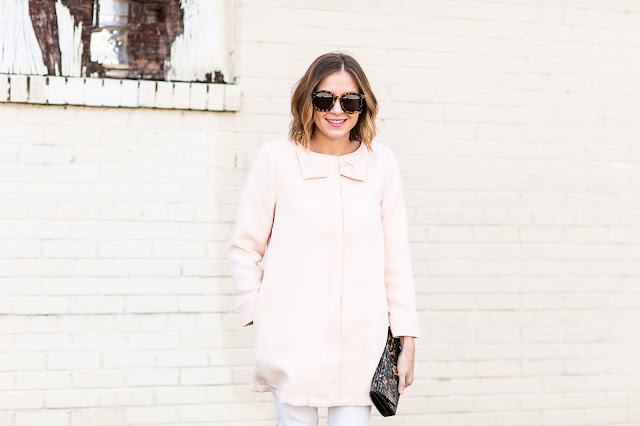 Finding a cute coat that is well-made, on-trend, and reasonably priced is quite the task. This pink bow coat from Morning Lavender is under $100 and adds the perfect touch of femininity to any outfit! Blush is one of the biggest trends this winter and you can see why - it's so easy to style it! 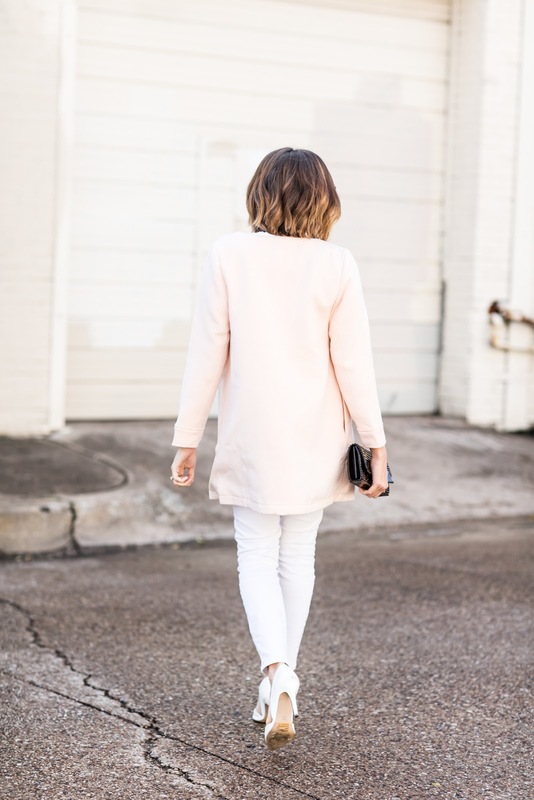 This blush coat is one of those coats that can be worn as your "everyday coat" or worn to a more formal event like a wedding or even date night! It also lends itself to be styled a multitude of ways. I styled it with white denim, but it would look adorable with black leggings and a pair of black over the knee boots. I can also see this styled over a cute pencil skirt and pumps to wear to work. Or, pair it with some distressed denim and cute converse. The possibilities are endless! Happy Friday!! 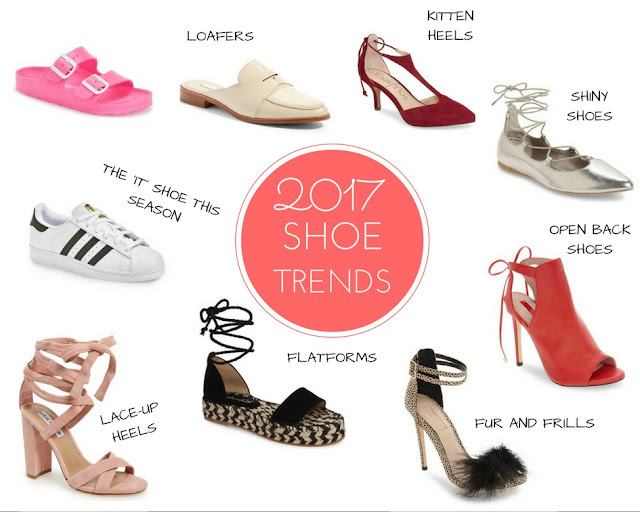 Today's post is all about the hottest shoe trends for 2017 and I've rounded up plenty of options for you! With the variety of shoe trends this Spring there really is something for everyone and every style! I love that some shoe trends remind me of high school - platforms, adidas shoes, etc., and some are new and exciting - fur, metallic, and open back shoes. Have you found a favorite yet? Knowing the upcoming trends is half the battle to staying on trend. The other half is actually finding [affordable] options. So, we've listed our favorites for each style below and they're all under $100!! Happy shopping!! Happy shopping and I hope you all have a great weekend!! Hello! My name is Anna Cobbs and I have the honor of working with the amazing Accessory Concierge team. You will be getting to know me a lot better as I fill this space with affordable fashion. Since you will be hearing a lot more from me, I wanted to spend a little time introducing myself and give us a chance to get to know each other a bit! I am a Dallas gal through and through although I did sneak away a bit and attend high school in Chicago. I am a wife and a young mom to two precious little girls age 3 years and 1 year. We're having quite the time at our house as you can imagine! I am also the founder and editor-in-chief for the Dallas-based fashion and lifestyle blog, Fleurdille. Over on Fleurdille you will find that my style is very neutral, feminine, and versatile. I like to refer to my personal style as "everyday feminine." But, in this space we will explore accessible, affordable fashion for all ages. We'll follow the trends for women's clothing, home decor, and much more, and your feedback is always more than welcome! Today I wanted to introduce you to one of my favorite trends this season: lace-up detailing. You've probably seen is everywhere from sweaters to tops to dresses to boots! What I love about this trend is that it's one that you can easily adapt to your own personal style. If you have a classic style or need to wear business professional to work, opt for a top with minimal lace-up detail. If you're more casual, go for an oversized sweater with lace-up details on the back. Or, if you're looking for something to wear on a date, wear a bodycon dress with some lace-up detailing on the front. The options are endless so you can easily find something you're comfortable in and something that works for your style!